Why See Years and Years? After a busy summer spent playing at festivals around the world, Years & Years is hitting North American shores on an 18 city-wide tour in support of their critically acclaimed new album Palo Santo. 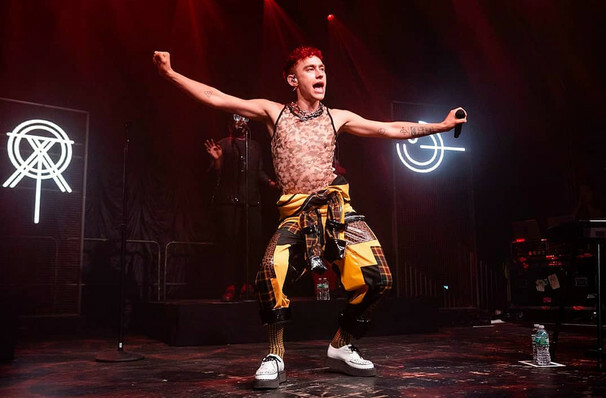 Lead by enigmatic frontman Olly Alexander, the British synth pop trio emerged in 2010 with an artful, exciting blend of danceable electronic beats, funk and R&B grooves, killer pop hooks and elements of 1990s house music. The follow up to the outfit's 2015 debut album Communion, which became the fastest-selling debut in the UK from an unsigned band, Palo Santo is the hotly anticipated return to their trademark left-field pop. Lead singles 'Sanctify' and 'All For You' signal a compilation of slickly produced dance-floor filling anthems that tell the story of a fictional society of Palo Santo, a place where robots reign and the humans left behind are used as a means of entertainment. It's an invigorating reinvention that finds the band pushing pop boundaries and blurring the lines between analog, synth, sexuality and gender. Sound good to you? Share this page on social media and let your friends know about Years and Years at Vic Theater. Please note: The term Vic Theater and/or Years and Years as well as all associated graphics, logos, and/or other trademarks, tradenames or copyrights are the property of the Vic Theater and/or Years and Years and are used herein for factual descriptive purposes only. We are in no way associated with or authorized by the Vic Theater and/or Years and Years and neither that entity nor any of its affiliates have licensed or endorsed us to sell tickets, goods and or services in conjunction with their events.